The Menomonee River is one of Milwaukee's three primary rivers and is visited by people fishing, kayaking, canoeing, and boating. As you travel down the Menomonee River, you experience the Menomonee River Valley’s industrial charm and its place in history as you float past the steel dock walls that line the river. These walls created a deep channel historically used as shipping grounds for commercial goods and products that helped to build and power the city in the 18th and 19th centuries. They will also be the foreground for soon-to-be-developed riverfront land and new businesses along the river. People find many spots to fish along the Menomonee River and Burnham Canal. 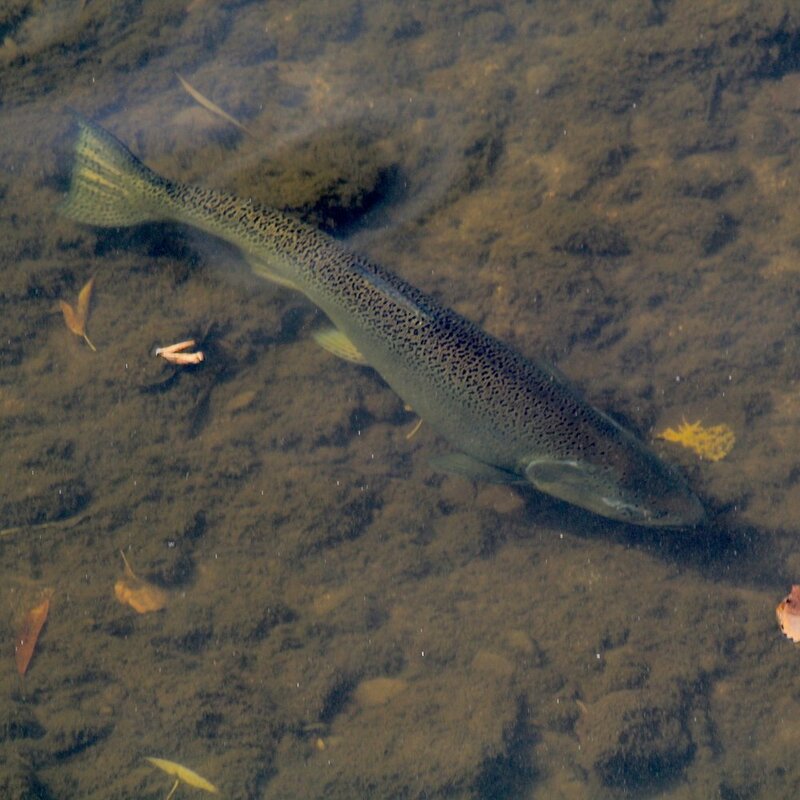 You can access the river at MMSD where you might catch brown trout, salmon, or steelhead. The western end of the Valley near Three Bridges Park and Miller Park offers shallow areas ideal for fly fishing. 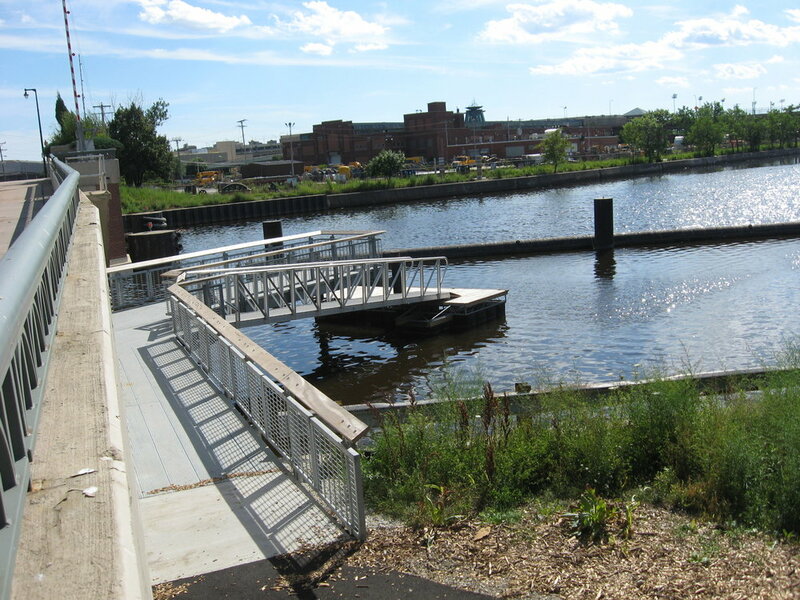 There are four canoe/kayak launches in the Menomonee River Valley. The Milwaukee Urban Water Trail is a canoe and kayak route through urban protions of the Milwaukee, Menomonee, and Kinnickinnic Rivers—with more than 25 miles of paddling! Railroad bridge at Plankinton Ave - Call 414.278.1385. Generally open 7 days a week, 6am-10pm. City-operated Plankinton Ave Bridge - Monitored remotely via Broadway bridge. Call via radio on Channel 16 or phone at 414.286.2570. The railroad bridge must be open for the city to open the Plankinton Ave bridge. City Lights Brewing Co, the Harley-Davidson Museum®, and Twisted Fisherman offer docks for those who prefer to float to their destination. All Hands Boatworks builds up youth in the greater metro-Milwaukee area through wooden boatbuilding, work experiences, and on-water activities that result in good character, academic confidence, and workforce preparation. Adult classes offered as well! All Hands Boatworks offers free community sailing on student built rowboats on Fridays during the summer.